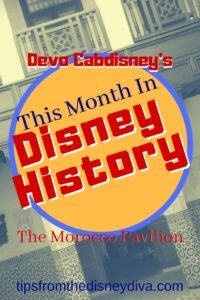 On September 7, 1984, the Morocco Pavilion opened in EPCOT as the only pavilion to be sponsored by that country’s government, and not a corporation. Positioned in the World Showcase of EPCOT between the France and Japan pavilions, The Morocco Pavilion can be easily spotted and is extremely impressive. 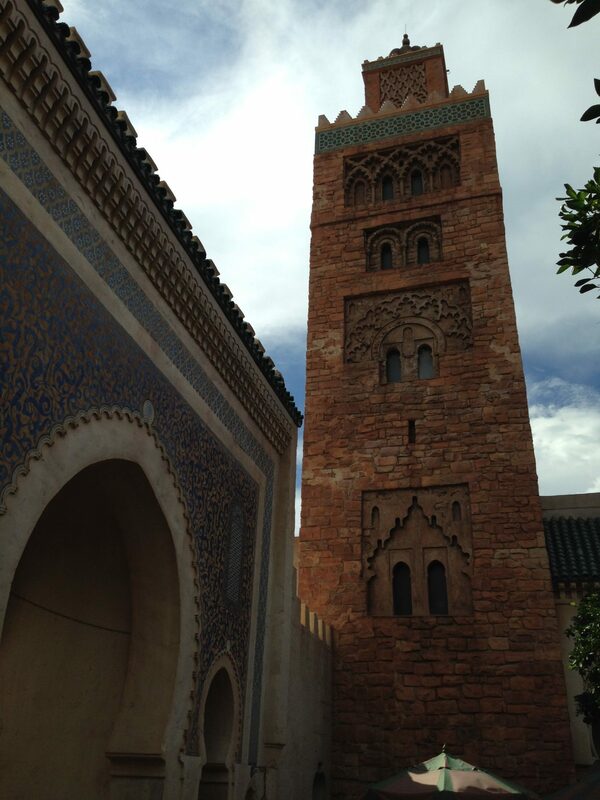 You simply cannot visit EPCOT without visiting Morocco! Disney is known for their attention to detail but for this pavilion, the King of Morocco sent Moroccan artists and craftsmen to ensure an authentic design, and their work really shows! Look carefully and you’ll see extremely intricate tile work in the mosaics that never portray living things such as people, animals, or plants due to religious laws. The sights, sounds, and smells quickly transport you across the globe to Morocco. 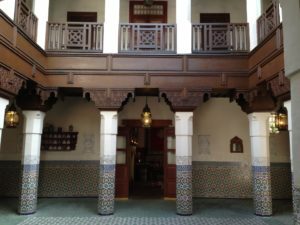 This is a great way to expose your children, as well as yourself, to Moroccan culture without actually traveling there, and provides some wonderful educational opportunities! For your little ones, be sure to check out the Kidcot Fun Stops! For you or your older kids, there are opportunities to a great henna tattoo! But don’t let that be the end of your fun and educational activities! You’ll notice several doors and passageways. 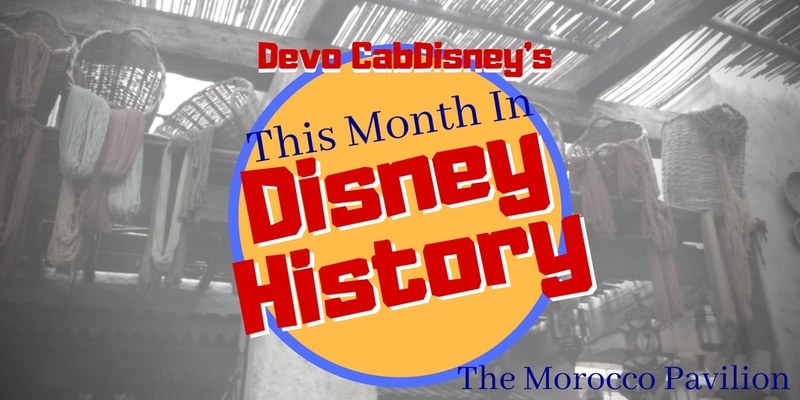 If the door isn’t labeled as “private” or “cast members only”, don’t be afraid to open it. You never know what you’ll find! There are all sorts of often overlooked and hidden treasures such as a gallery of arts and history. You’ll also find a gallery featuring Moroccan jewelry and clothing called “Moroccan Style: The Art of Personal Adornment”. 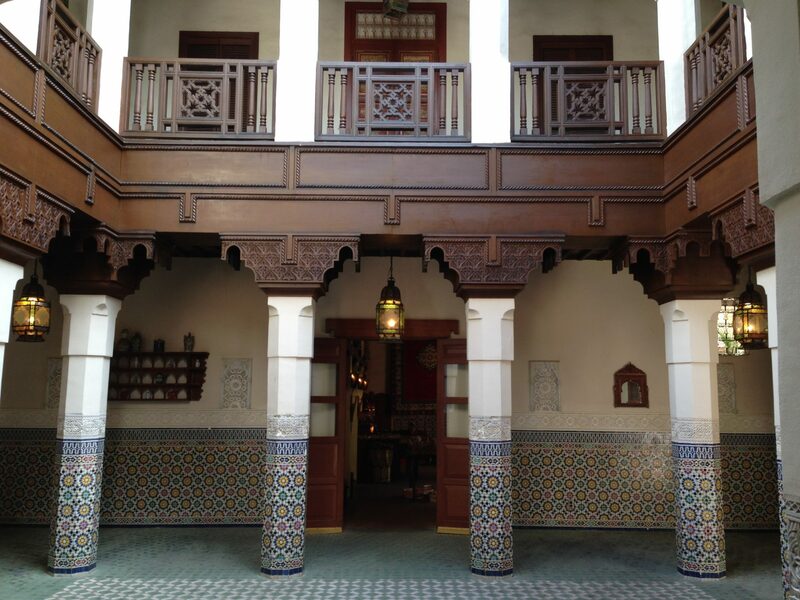 Then there’s the Fez House that gives you a glimpse into a typical Moroccan home. If you go deep enough into the pavilion, you’ll find some really quiet and relaxing areas, especially around some fountains because many people tend to go halfway through and think it’s done. Be an explorer and go as far into the pavilion as you’re allowed! Otherwise, you’ll miss out on some really gorgeous scenery! And who doesn’t love a fun character meet and greet? Head over to Lamps of Wonder, near the back of the pavilion (see… another reason to go all way into the pavilion) to meet Princess Jasmine! As you walk through the pathways, you’ll come across some great shopping as well! 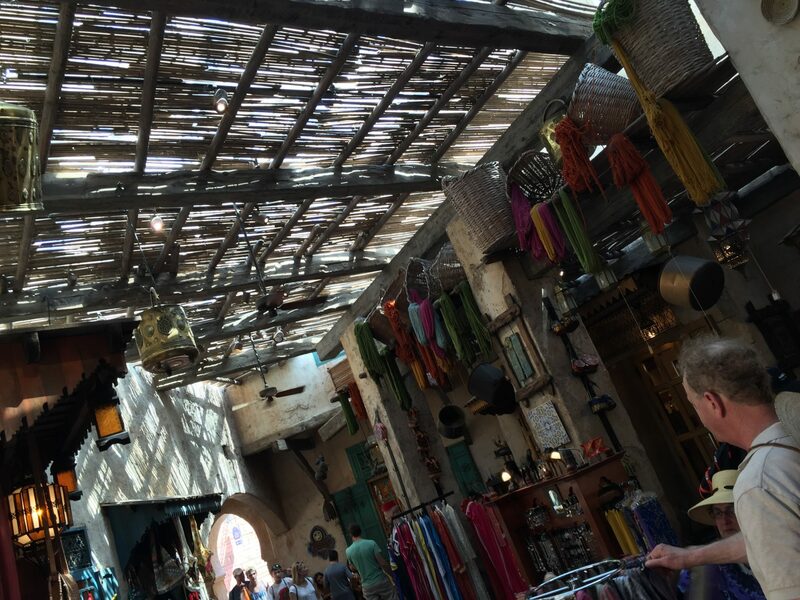 You’ll feel as though you’ve left EPCOT and entered a real Moroccan market with some of the most interesting merchandise in the park! Berber Oasis, The Brass Bazaar, Casablanca Carpets, and Medina Arts are just a few examples of the shops for you to explore! Now I’m going to be honest with you, eating in the Morocco Pavilion really isn’t an option for us as the cuisine isn’t our favorite. But I have heard so many good things about the dinning in Morocco! 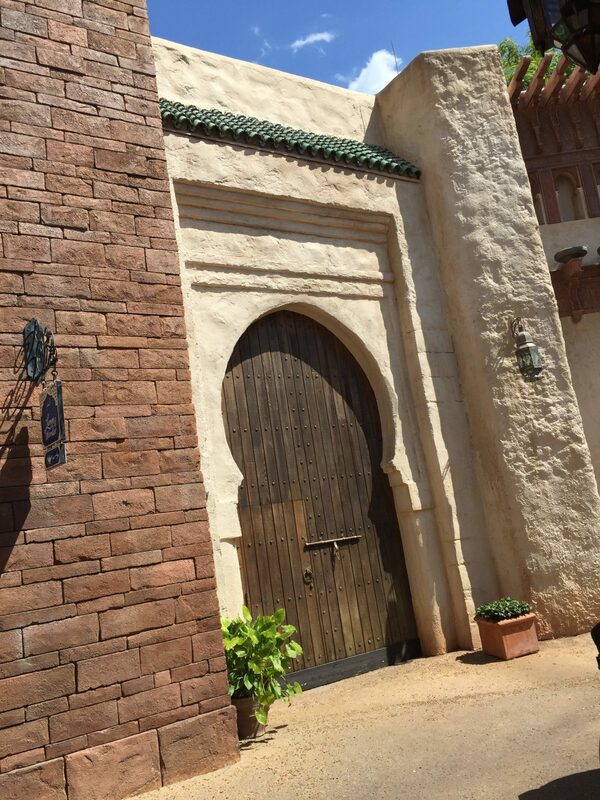 Restaurant Marrakesh, Tangierine Café, and Spice Road Table are great options! Restaurant Marrakesh and Spice Road Table are both table service restaurants and Tangierine Café is a quick service restaurant. So as always, I suggest that if you would like to dine at one of the table service restaurants, always make reservations! You really don’t want to risk it just to end up dragging your tired and hungry body all over the park trying to find a good place to sit down and eat. Reservations can be made 180 days in advance of your vacation! 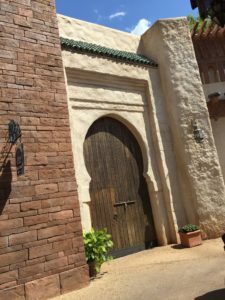 I have to say that the Morocco Pavilion was an excellent addition to the EPCOT World Showcase and is one of my favorites! I feel like every time I go, I find something new that I didn’t see before. And if you’re a photographer, you’re guaranteed to find some great shots!